Balsam Hill trees do not only mean holiday decor. Now don’t get me wrong, we love the realistic pops of color from our favorite trees, but there is foliage with a variety of looks and styles all year around. 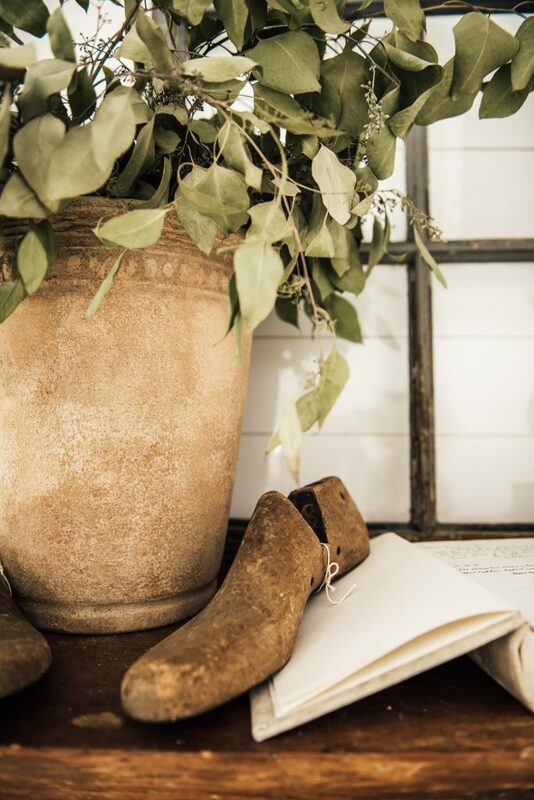 It’s no secret that our farmhouse is filled with a lot of white, but that all feeds into the importance of finding the perfect pieces to complement your intended look. 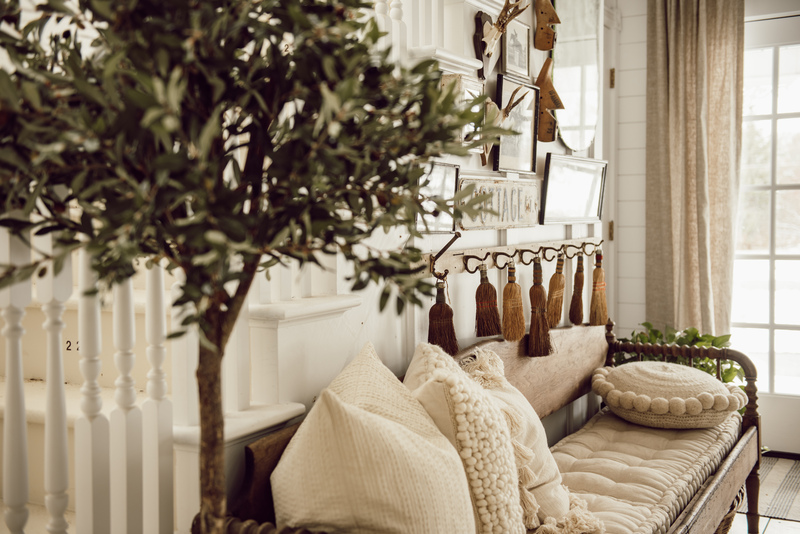 The way I look at it, I’d rather guests focus their attention on the antiques, pillows, throws, and the various textures and colors scattered around than the wall color. We found the perfect farmhouse touch in the Balsam Hill’s Artificial Olive Tree paired with a large Banbury Clay Pot. 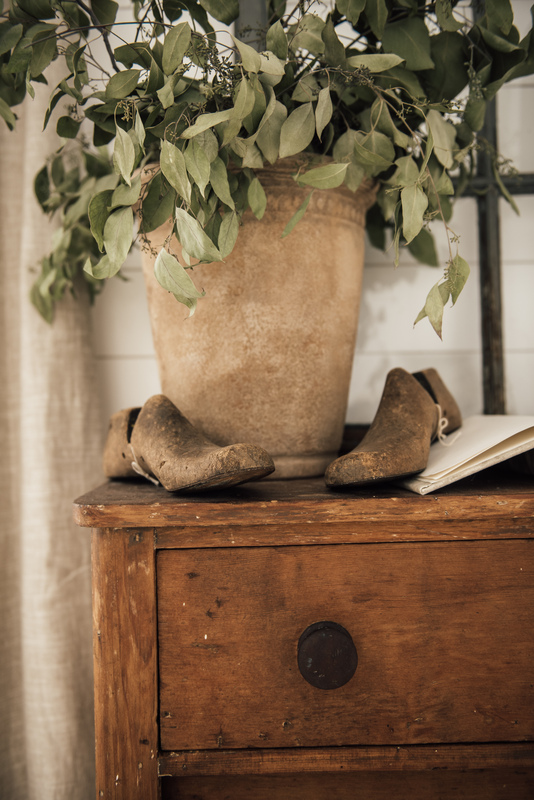 They make a perfect combination to complement our space and bring the farmhouse-look together. 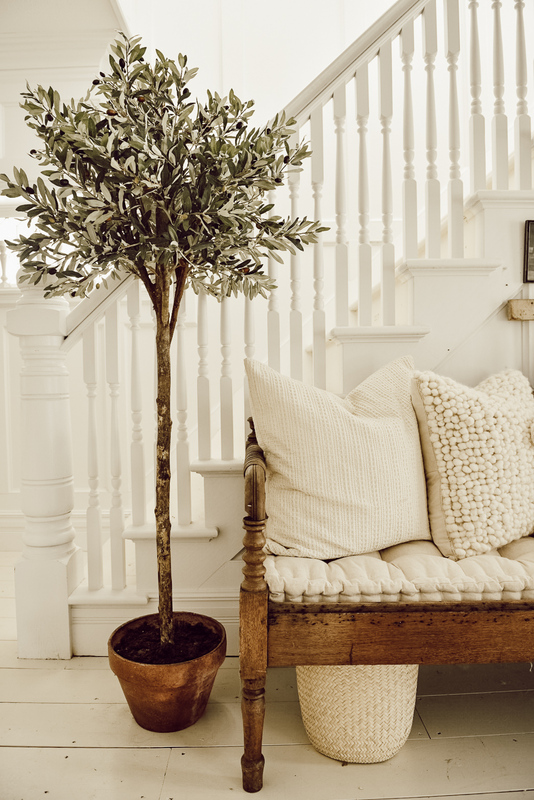 One of the most welcoming spaces in a home should be your entryway. Our entryway has taken on many different looks over the past few years. A seated bench is a great interactive way to invite guests to stay for a while, providing them an area to sit and chat. To frame this space in, on one side of our entryway we have the full Artificial Olive Tree, which comes with its own terracotta pot. No extra DIYs needed to match our style. The tree and vase fit perfectly into our existing decor, you’d think they were as old as the antique furniture in the space! As we continue to get the house ready for all of the holiday festivities, this is a nice finishing touch which we can keep all year round. Share with us how you’ve decorated your home with trees in the comments! 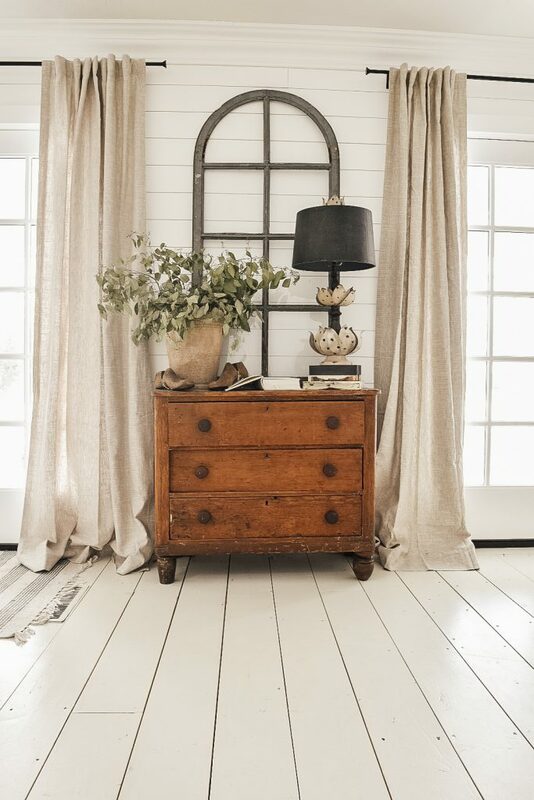 For more easy-to-display rustic-inspired home decor, go to Balsam Hill. Liz Marie writes about her fixer-upper farmhouse, DIY projects, and decorating tips on her website, Liz Marie Blog.